It was on April 20th, 1992, when the London Wembley Stadium was filled by more than 72,000 people. Five months after the death of Freddie Mercury, a concert was held in his memory, and many famous singers performed on stage. There were Metallica, Guns N 'Roses, David Bowie, George Michael, Elton John, Roger Daltrey, Def Leppard, Tony Iommi and many others in honor of Freddie Mercury. At this concert, members of the Queen group also sang together in the company of singer Elton John and Axel Rose. Together they sang their song "Bohemian Rhapsody", which is still considered one of the greatest hits of Queens. The aforementioned performance impressed the most visitors upon the concert, and the video clip from 1992 has already collected more than 20 million views on the Internet, even though it was only uploaded on the official Youtube channel of the Queen group in 2009. 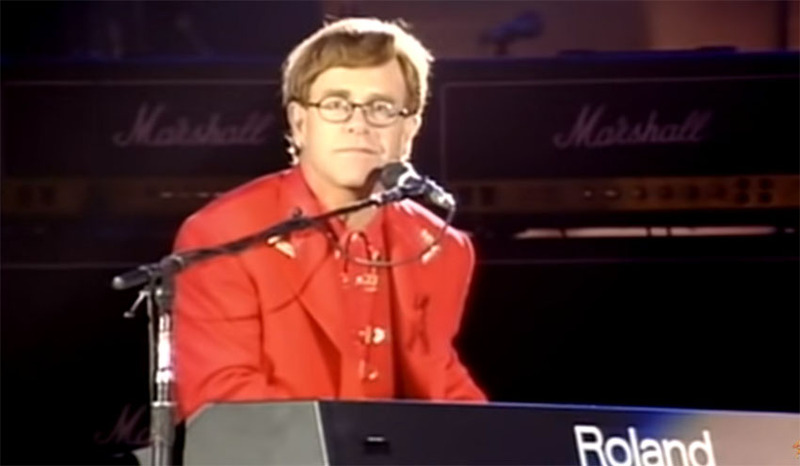 Elton John sang for the last time with Queen, and many on the web have expressed the desire to once again listen to such a performance in live again. Take a look at a video from the Freddie Mercury Tribute Concert in 1992, when the greatest legends of music paid tribute to late Freddie Mercury!